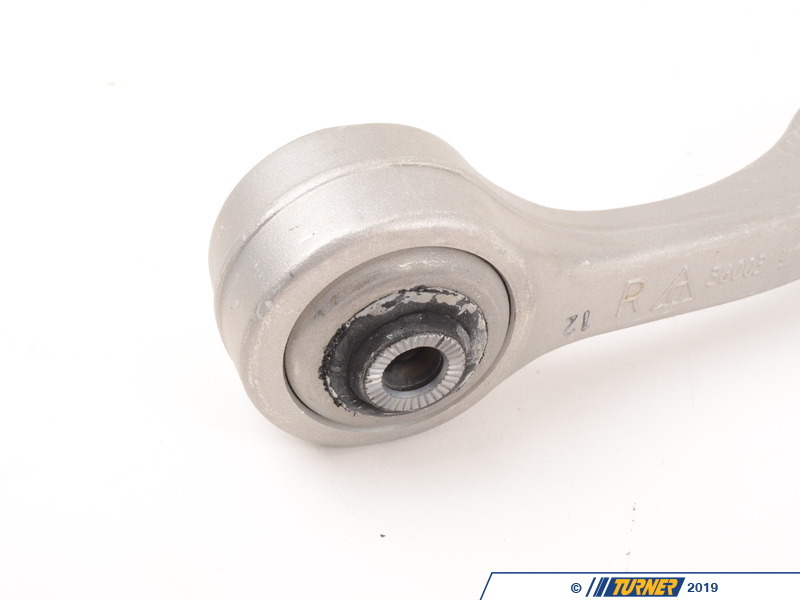 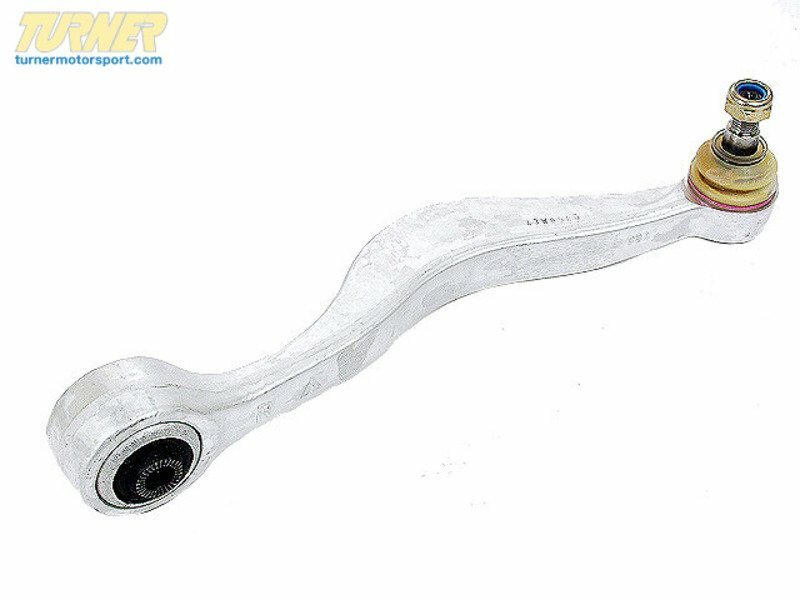 This is the standard aluminum lower control arm used on the late-E34 and E32 models. 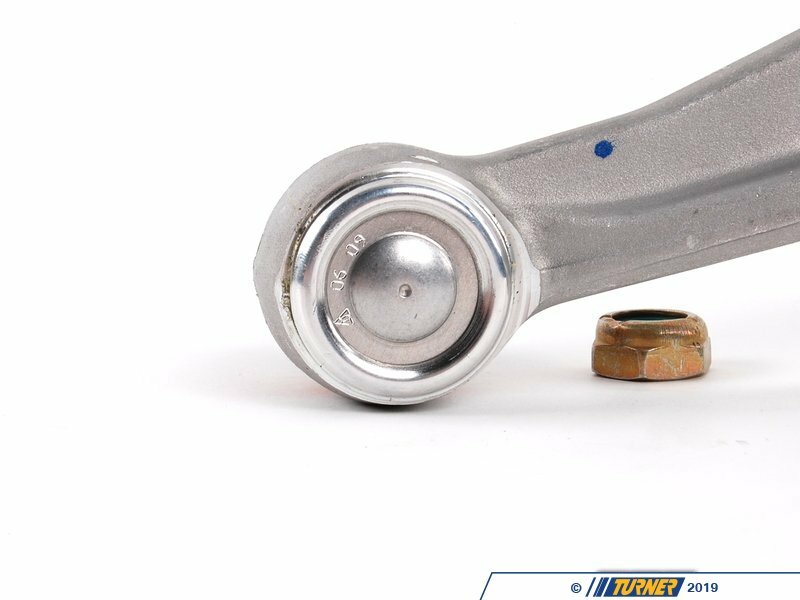 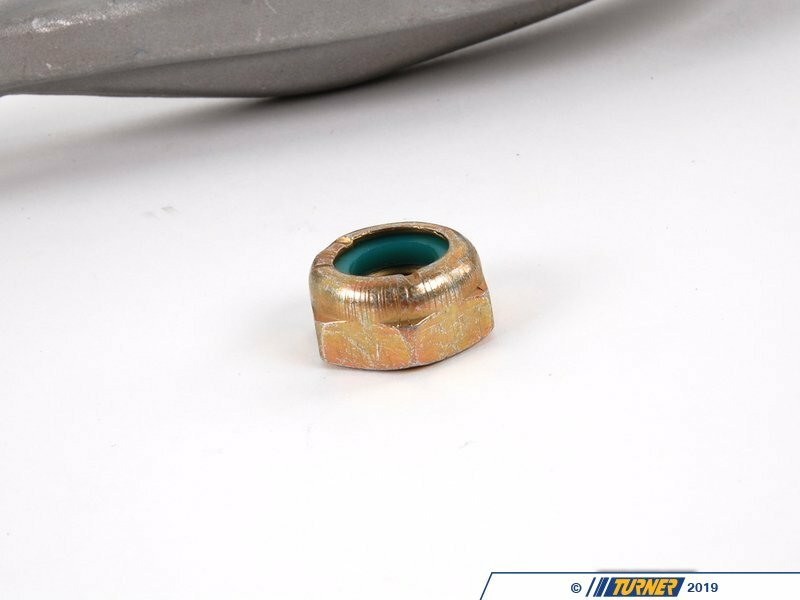 It can be used as an upgrade for all E24, all E28, and other E34 models. 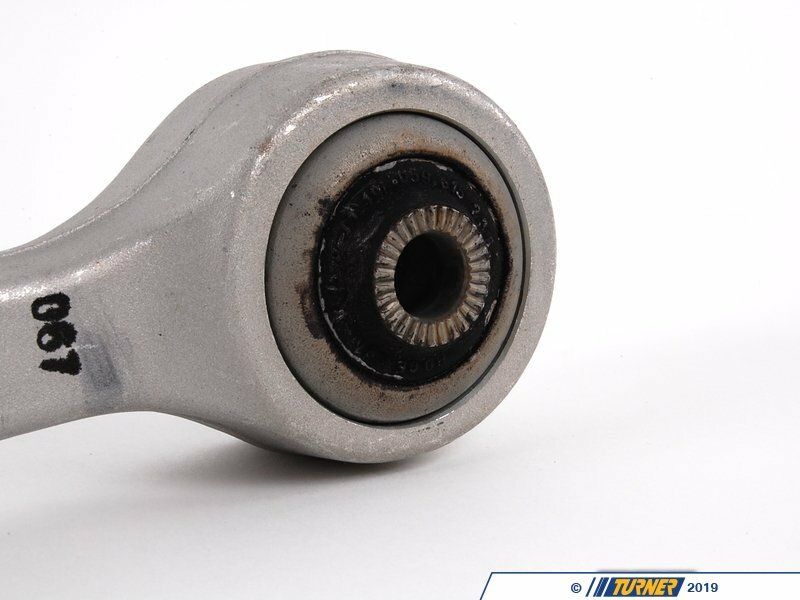 The aluminum arms are a lot lighter than the standard steel arms on the early cars but the bushing and ball joint remains the same. 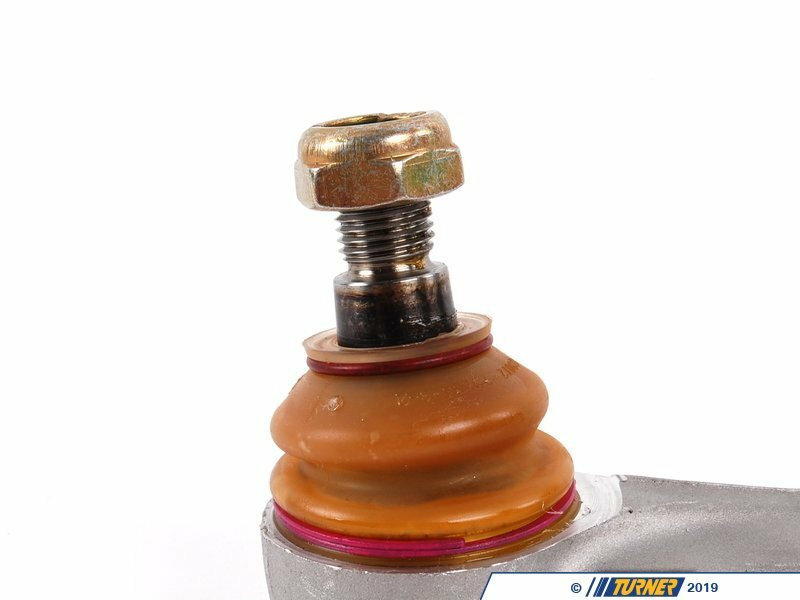 The lighter part means better suspension and steering response because the suspension only has to move half the weight as before. 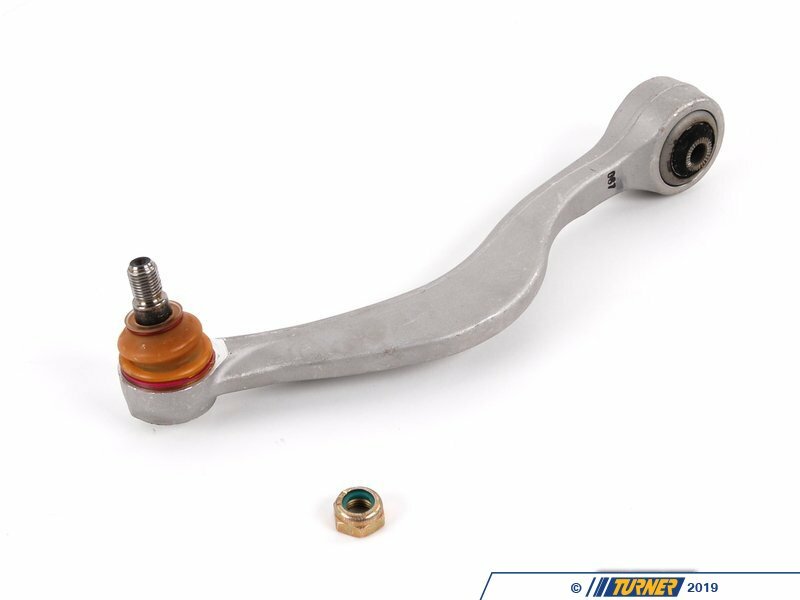 These are a direct replacement for cars that came with the aluminum arms or an upgrade for cars that originally used steel arms. 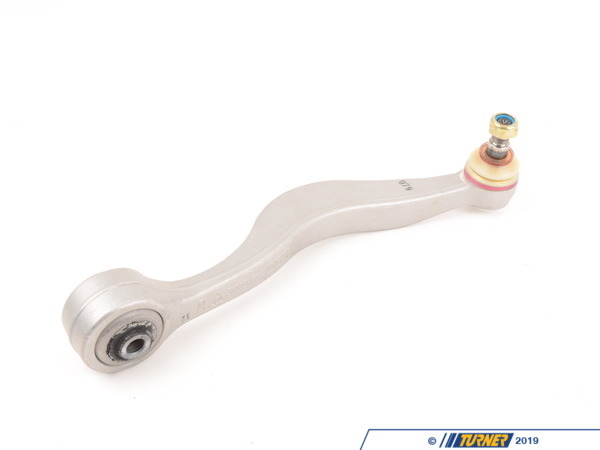 This is the right/passenger's side lower control arm - also known as a wishbone. 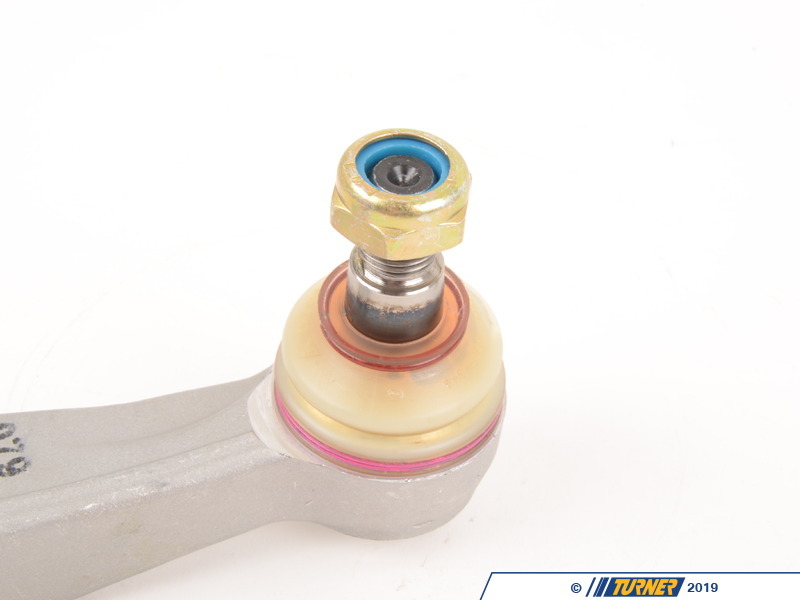 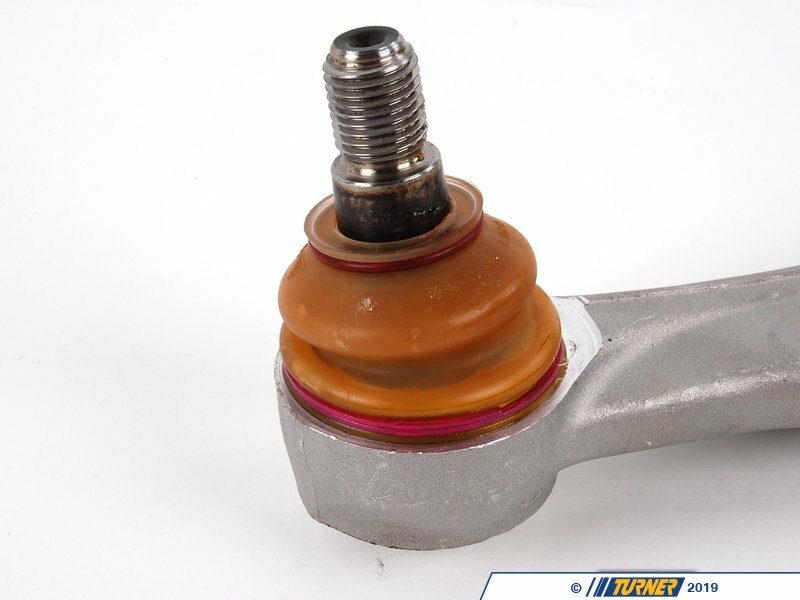 It replaces the control arm with the ball joint pointing up.